Call me a rebel – I signed up for the class as quickly as I could. Although I could not verify my friend’s words, the incident got me thinking about the importance of academic freedom – a topic that has been on my mind lately in light of the recent attacks on my alma mater, the University of Hong Kong. The controversy surrounding Professor Johannes Chan’s delayed appointment as pro-vice-chancellor — the post oversees academic staffing and resources — has been well reported. More than seven months ago, a search committee unanimously recommended Chan to the post. Yet, in an “absolutely ridiculous” turn of events (in the professor’s own words), on June 30, the HKU Council decided to delay the appointment, citing the need to first appoint a new deputy vice-chancellor. The controversy has also been studded with episodes of political interference in academic affairs. Back in February, former Ming Pao chief editor Kevin Lau Chun-to wrote that “some extremely influential people in the government” had telephoned HKU Council members, telling them to reject Chan’s candidature. A top advisor to the Chief Executive, Sophia Kao Ching-chi, also admitted to discussing Chan’s suitability for the position with unidentified individuals. Ta Kung Pao and Wen Wei Po featured full-paged Cultural Revolution-esque attacks on Chan — the latter even obtained a confidential University Grants Committee report and attempted to scapegoat Chan as the cause of the university’s “alleged” nosedive in research quality. Part of the problem lies in HKU’s governing structure. Under the current system, seven out of 24 — just under a third — members of the HKU Council, including the chairman, are appointed by the chief executive, who also happens to be ex officio chancellor of all eight universities. This makes it easy for him to interfere with HKU’s affairs if he chooses to do so. 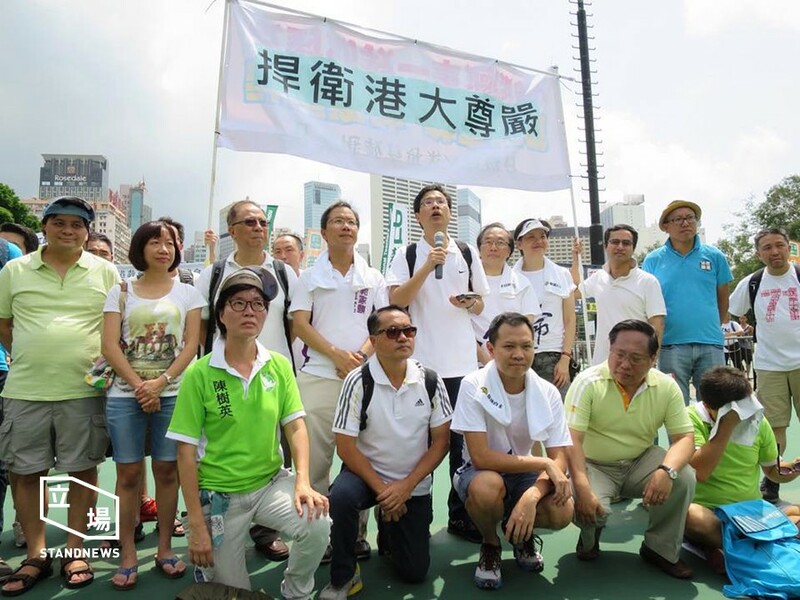 The controversy has led more than 1,400 HKU alumni and members of the public to sign a petition titled “Safeguard HKU”, which calls for the safeguarding of the university’s independence, and the speedy resolution of Chan’s appointment. The incident of the government interfering with academic affairs is certainly not the first one. In 2000, Dr. Robert Chung was pressured by former chief executive Tung Chee-hwa to discontinue a public opinion research project that tracked Tung’s (declining) popularity. What is surprising, however, is the difference in the level of public backlash: while Chung’s case was met with strong outrage, leading to the resigning of two top university officials, public concern surrounding Chan’s appointment — which involves multiple attacks on HKU’s academic freedom— seems to have been relatively mellow. 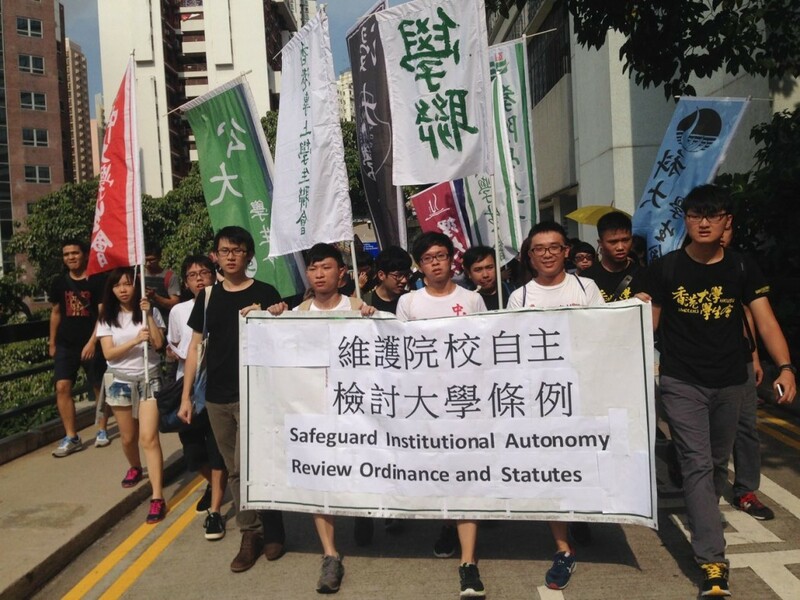 The continued deferral of Chan’s appointment comes as a worrying blow to academic freedom in Hong Kong. Academic freedom is of utmost importance to our society because it allows scholars to pursue the truth where it takes them, regardless of political correctness or current orthodoxies, and without any fear of repression by the government. For good reason, it is constitutionally protected under Article 137 of the Basic Law. What is more unsettling is the pressure on members of the academia to self-censor their research. Apart from attacks on Chan, pro-Beijing media have also targeted other members of the HKU law faculty, accusing professors of trying to “brainwash” their students by assigning “pro-Occupy Central” reading assignments. These allegations are, of course, profoundly disturbing. By default, class readings are meant to be starting points of discussion, open for debate and challenge. But personal attacks on certain professors also mean that members of the academia may feel pressured to downplay certain controversial topics in the name of political correctness, or in order to maintain “harmony” in classroom discussions. Infringement of academic freedom, of course, also comes in other subtle ways. I am reminded again of the incident with my history class. The pressure of self-censorship felt by members of the academia also means that there may be pressure for students not to take a particular class — as it was the case with my friend, and perhaps other Chinese students on campus. Students may also be less willing to share their opinions or explore politically controversial topics. “Harmonised” classroom conversations cannot be conducive to critical thinking or effective learning. Suppression on academic freedom is problematic because I am aware of the transformative and constructive power of the free flow of ideas, many of which played a significant role in shaping our societies. An example is the New Culture Movement, which saw the inception of democratic values, women liberation, and modern Chinese literature. Even the Chinese Communist Party was founded by two intellectuals during that time. Yet, I am also reminded of the importance to speak out for what I believe in. The series of attacks on HKU bring me back to my alma mater’s motto: sapientia et virtus, wisdom and virtue. The quest for both wisdom and virtue involves diving, head-first, into discourses where one can – free from any concerns of political correctness – challenge and be challenged, inspire and be inspired, and agree to disagree. HKU has given me the freedom to question what is established, the tenacity to explore what I questioned, and most importantly, the audacity to stand up for what I believe in. This is why I decided to speak out now. Virginia Chang is a law student who enjoys watching TV crime shows.